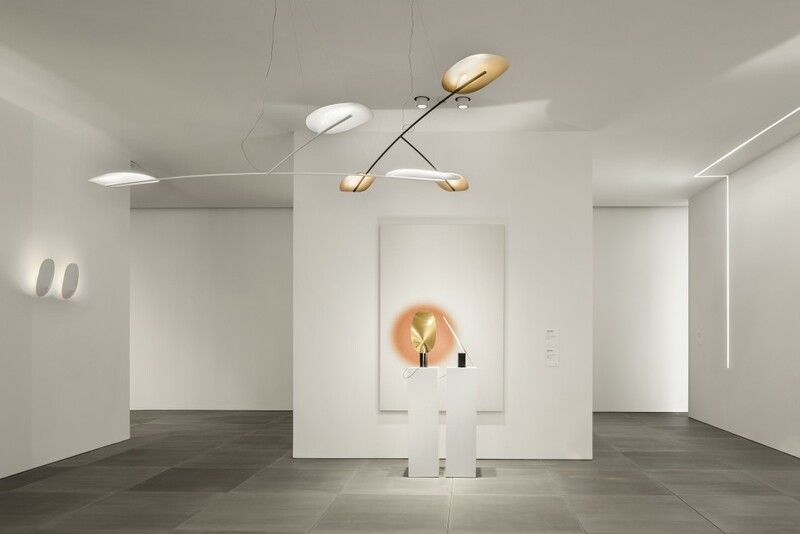 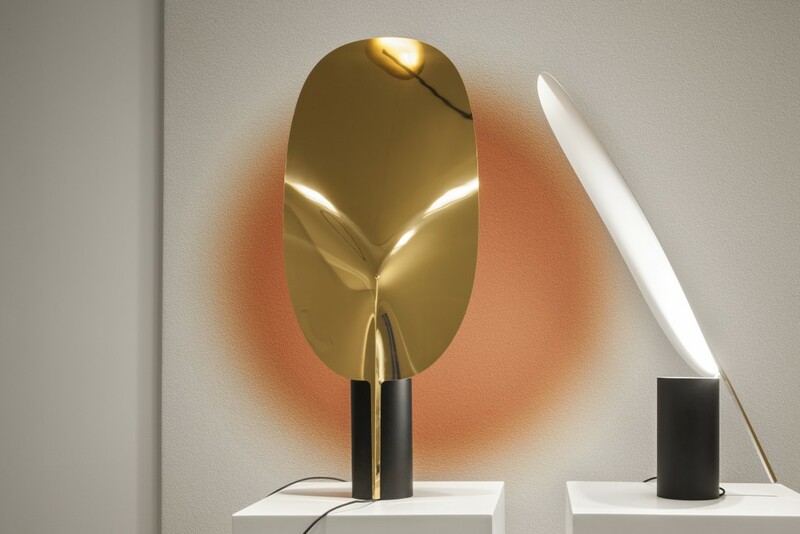 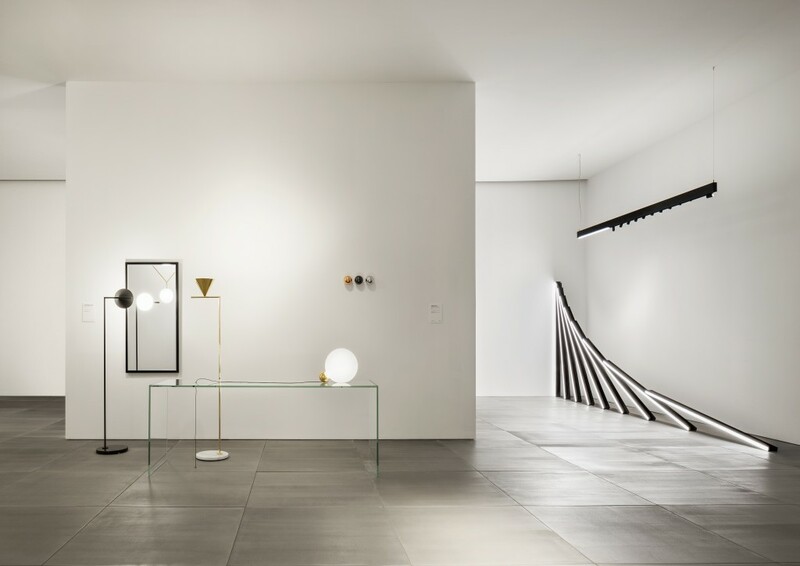 It was during the Euroluce from Milan Design Week 2015, FLOS presented The Flos Gallery, a highly poetic exhibition conceived and created by designer and artist Ron Gilad. 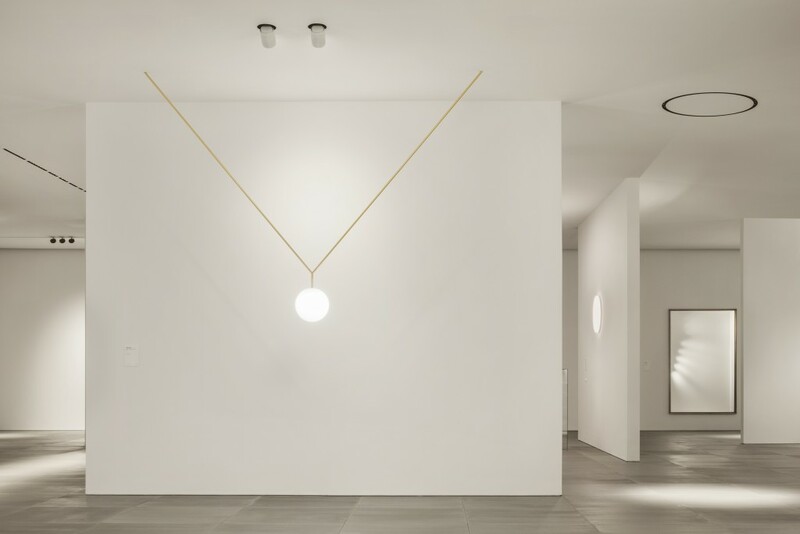 In a space covering over 1,000 sq m, conceived as a mega Art Gallery with a hidden Sculpture Garden, the brand introduced the new lamps by Michael Anastassiades, R. & E. Bouroullec, Antonio Citterio, Piero Lissoni, Jasper Morrison, Philippe Starck and Patricia Urquiola, together with the latest new Architectural products. 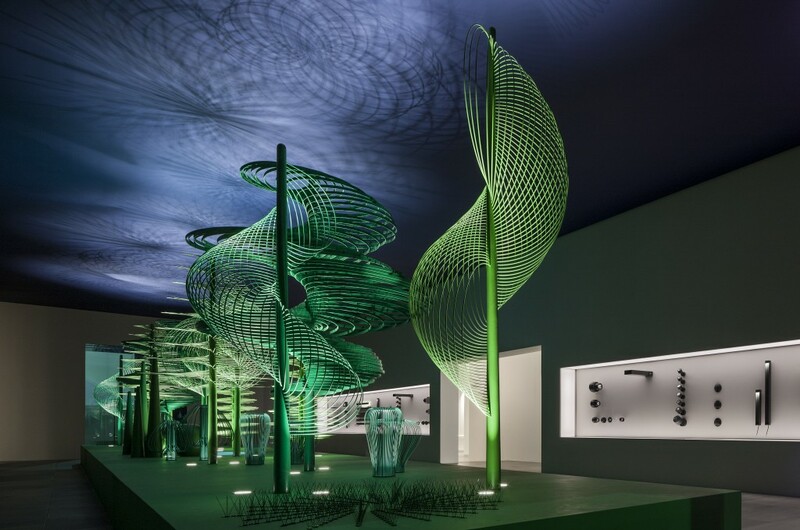 A theatrical installation of artificial magic trees –each one designed and produced by Ron Gilad for this specific space– was created to celebrate the entry of Ares, a leading Italian manufacturer of architectural outdoor lighting, into the Flos Group. 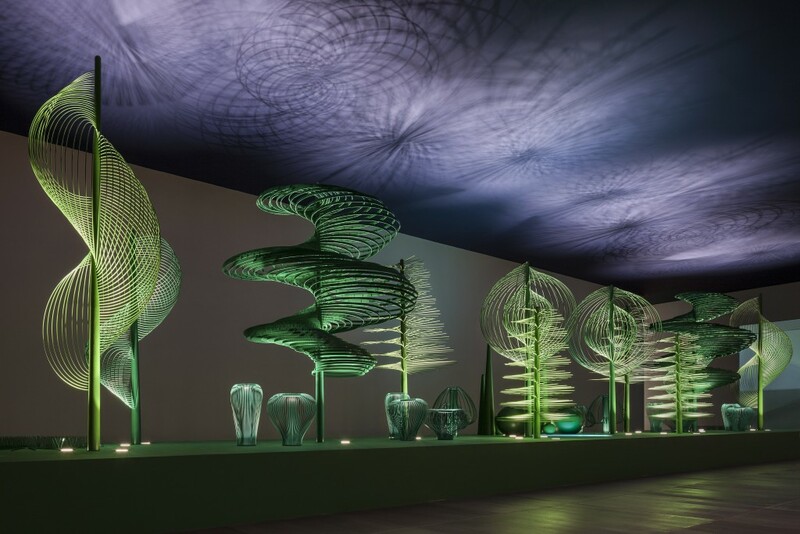 The main Gallery leaded to a ‘Sculpture Garden’: a place where natural vegetation has been abstracted into mega sculptures and illuminated in a dramatic manner. 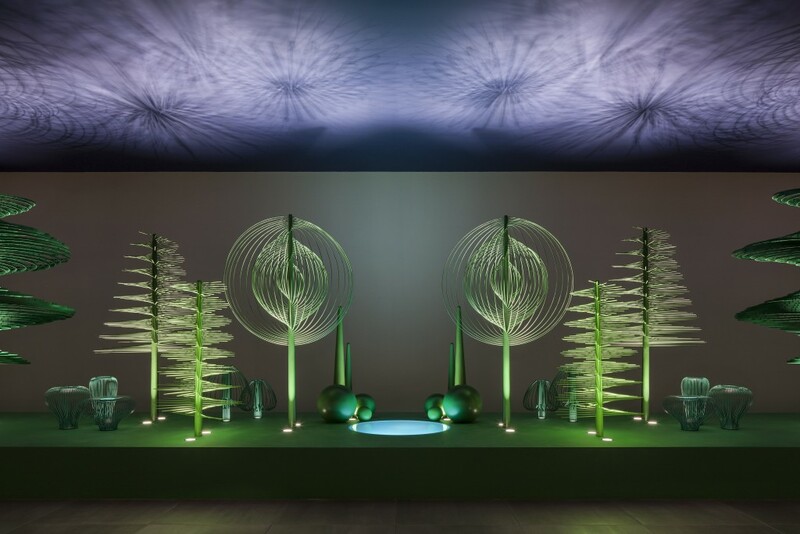 Two ambiences, Indoor and Outdoor, which contradicted and complemented each other at the same time.